Rangers' board and Mike Ashley have agreed that Ibrox Stadium will now not be used as security over any further loans from the Newcastle owner. Ashley's Sports Direct firm was named on advanced notices of security lodged at the Land Register by Rangers. 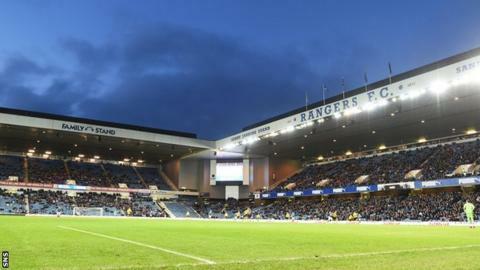 That meant only Ashley's firm could be given security over Ibrox and training ground Murray Park for a 35-day period. It sparked outrage among supporters and an agreement has now been reached to take Ibrox out of the equation. Rangers have previously stated that funding would be required by the end of January and, with salaries due to be paid on Thursday, time is of the essence. While Ashley had been prepared to put up £10m on top of the £3m already loaned, a consortium including Douglas Park, George Letham and George Taylor had offered £5m - a sum they said they were asked to put forward. They have since said they will increase that, but they were also looking for Murray Park as security. If Ashley, who this week raised around £117m by selling a percentage of his stake in Sports Direct, wishes to put more money into Rangers, he is in the driving seat because of those advanced notices of security. Removing Ibrox as part of the deal hints that it is increasingly likely the board will again look to Ashley for that funding.